EVAC CHAIR® North America LLC, maker of the original, lightest and world’s best-selling Evacuation Chairs, has announced the supply of their Evacuation Chairs to Royal Caribbean Cruise Lines. Royal Caribbean, was founded in Norway and is now based in Miami with its vessels visiting over 250 destinations and carrying over 5.7 million passengers each year. 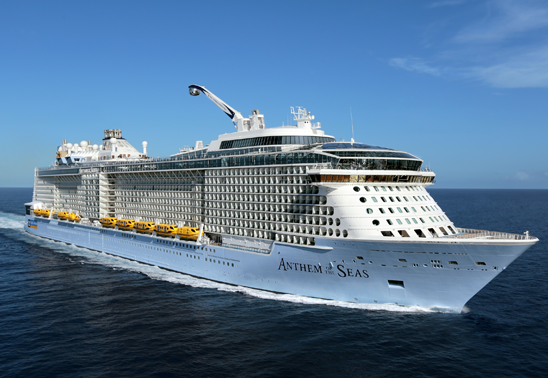 Royal Caribbean is revolutionizing the cruise industry to make every on-board experience one to remember. Whether that’s wowing you with their robotic bartenders, dazzling you with a 30-foot giraffe or thrilling you with breath-taking destinations, Royal Caribbean is opening consumer’s eyes to a new way to travel. Royal Caribbean also takes safety very seriously is now equipping their vessels with the Evac+Chair, so they are ready for any eventuality. For the last 40 years EVAC+CHAIR is the choice for safe evacuation for thousands of organizations including high profile companies such as Apple, Disney and the NBA. Developed in New York City in 1982, EVAC CHAIR® is the global industry standard for lightweight, portable evacuation chairs. Today the company sells to large and small venues, corporate entities, residential buildings, as well as globally to hotels, hospitals, office buildings, schools, assisted living facilities, residential and commercial high-rise buildings. EVAC CHAIR® can be utilized in any facility where any occupant who needs assistance for any reason can get down the stairs in a safe manner. The design of the EVAC CHAIR® possesses a narrow profile which allows any occupant to ascend or descend staircases during an emergency without interference. Its unique design allows first responders to assist anyone else with mobility impairments with relative ease. 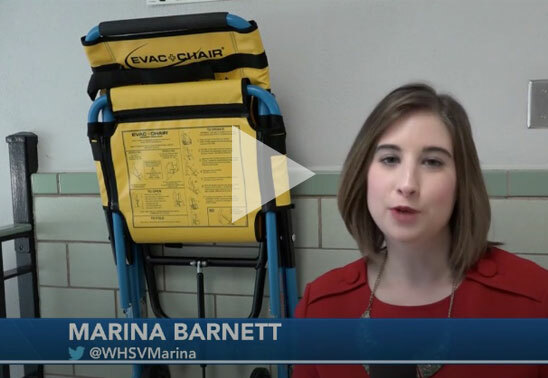 ROCKINGHAM COUNTY, Va. (WHSV) — Wilbur S. Pence Middle School now has emergency evacuation chairs thanks to the community — and their school resource officer. Conley talked to the assistant principal at the school, and she directed him to look into evacuation chairs. In his research, he found they would cost a lot of money (about $1,500 a piece), so he decided to ask community leaders to pitch in, attending their meetings and asking for assistance. Clover Hill and Dayton Ruritans, the towns of Dayton and Bridgewater and Pence Middle School’s PTA all stepped up for the cause. Bridgewater Mayor Ted Flory said when Officer Conley came to their board meeting, it did not take them long to say yes. “This was really an easy question to answer,” Flory said. “I hope they don’t have an emergency that needs it, but if it does happen and it saves even one person, it will be well worth the investment.” Now the middle school has five evacuation chairs installed — just in case. Conley’s next goal is to get a plaque that represents each of the organizations that helped to put beside the chairs to honor their donations. Evac+Chair North America LLC, the world’s leading manufacturer of emergency evacuation chairs, announced the launch of their new website. The redesigned website offers easy and quick access to key information and details of Evac Chair’s unique emergency evacuation products, including survivor stories from the 9/11 terror attack. An Evac+Chair is designed to accommodate disabled or mobility impaired people, allowing them to descend a staircase in an emergency situation without the need of great physical strength or lifting. With over 40 years’ experience worldwide including in North America, Europe, Asia, Africa and Middle East, Evac+Chair have become leading specialists in emergency evacuation, providing comprehensive education to ensure the effective use of its products, ensuring their customers comply fully with health and safety compliance. The Evac+Chair new website has been designed using a technique which enables web content to be delivered in a way which best fits the device that is being used to view it. Whether you’re using a desktop or a smartphone, the new Evac+Chair website will automatically adjust to fit your device in the most user-friendly manner. 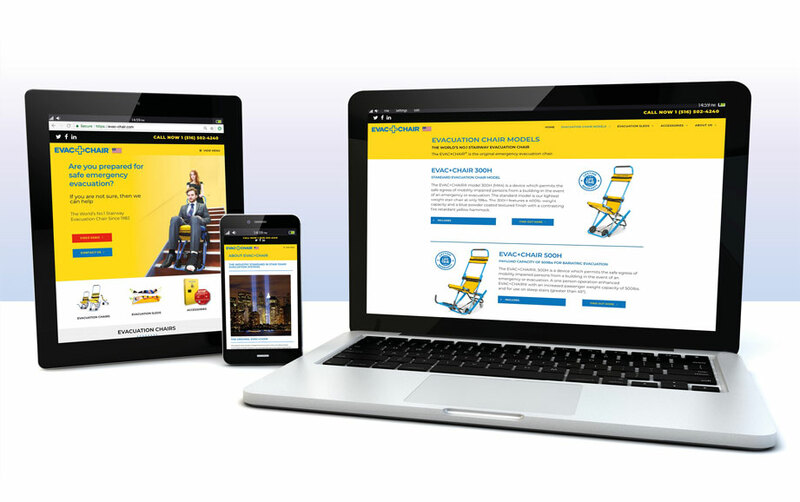 The new website has an innovative, uncluttered design, with improved functionality and enhanced rich content focused on the company’s mission to continue to lead the way in evacuation products and solutions. Visitors are encouraged to view the Evac+Chair website which can be found at evac-chair.com and all of the Evac+Chair range of evacuation chairs, sleds can be viewed including demonstration videos. EVAC CHAIR® North America LLC, maker of the original, lightest and world’s best-selling Evacuation Chairs, has announced the launch of its Evac+Chair® Power 800. The Power 800 enables stair ascent and descent in emergency evacuations, terror attacks, power outages, and daily patient transport allowing for safe and easy movement of a passenger up or down multiple flights of stairs. The Evac+Chair® Power 800, has Evac+Chair’s specially designed track system, which enables a single user to transport a passenger over 200 flights of stairs in a single charge. Furthermore, the Evac+Chair® Power 800 standard features include an extra-long quick release 4 point harness, LED guidance lights, antimicrobial coatings, fully flame retardant and has an adjustable stair track for use on virtually any staircase. The design of the EVAC CHAIR® Power 800 stair chair possesses a narrow profile which allows the evacuee and the other building occupants to ascend or descend staircases during an emergency without interference. Its unique design allows first responders to assist anyone else with mobility impairments with relative ease. 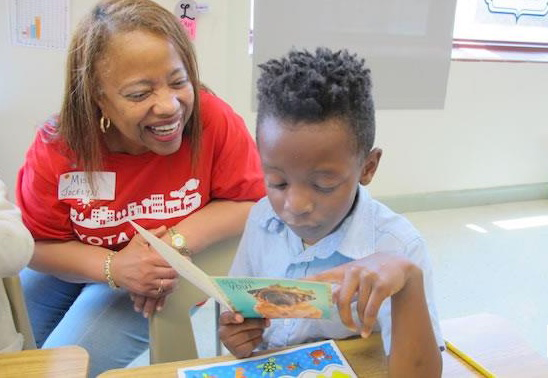 The Dallas Independent School District sits in the heart of a large, diverse and dynamic region with a population of 6.5 million people in the 12 counties of North Central Texas. The district is the second-largest public school district in the State of Texas and the 14th-largest district in the United States. With these vast numbers Dallas Independent School District has taken effective steps to implement EVAC CHAIR’S to insure safe and simple evacuation in any emergency situation, supporting persons not able to evacuate independently whether needing to ascend or descend a staircase to reach an ultimate point of safety. EVAC CHAIR® over the last 40 years is the choice for safe evacuation for thousands of schools and colleges including Yale University, Harvard University and other high profile organizations such as Apple, Disney and the NBA. Developed in New York City in 1982, EVAC CHAIR® is the global industry standard for lightweight, portable education evacuation chairs. Today the company sells to large and small venues, corporate entities, residential buildings, as well as globally to hotels, hospitals, office buildings, schools, assisted living facilities, residential and commercial high-rise buildings. EVAC CHAIR® can be utilized in any multi-story building where any tenant or occupant who needs help for any reason can get down the stairs in a safe manner. The design of the EVAC CHAIR® stair chairs possesses a narrow profile which allows any occupant and other building occupants to ascend or descend staircases during an emergency without interference. Its unique design allows first responders to assist anyone else with mobility impairments with relative ease. 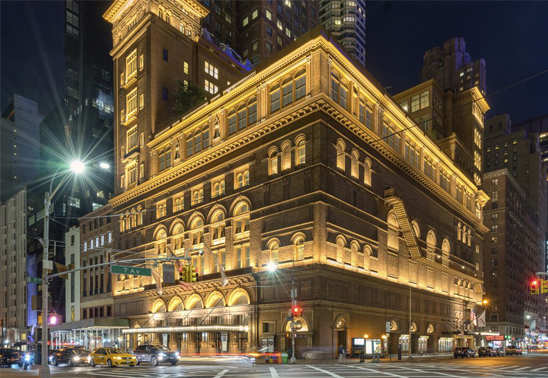 Carnegie Hall standing for over a century, has installed both the EVAC+CHAIR® 600 and EVAC+CHAIR® 700 Ibex models to ensure safer evacuation for its occupants, should the need ever arise. Carnegie Hall can house in excess of 4000 visitors, in addition to its world class performers and responsible staff on site at any one time. With this vast number of lives to be protected and multiple stairwells, Carnegie Hall has taken effective steps to implement a staff training program in conjunction with EVAC+CHAIR®, insuring that Carnegie Hall has the most recent and relevant training in the use of EVAC+CHAIR® evacuation products. The acquisition of these products increases the safe and simple evacuation in any emergency situation, supporting persons not able to evacuate independently whether needing to ascend or descend a staircase to reach an ultimate point of safety. EVAC+CHAIR® manufactures and supplies its EVAC+CHAIR Emergency Evacuation Stair Chairs to a number of high profile organizations such as Apple, Disney and the NBA as well as a wide range of other venues in both the private and public sectors. 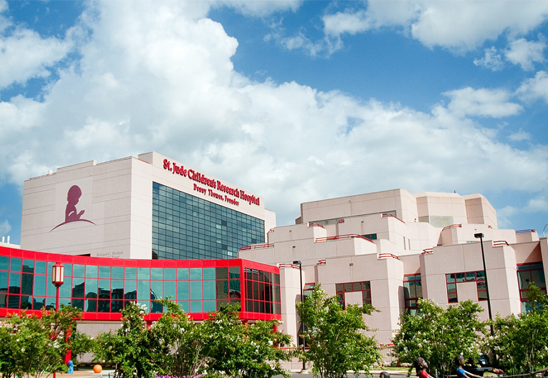 Saint Jude Children's Research Hospital Selects Evac+Chair® for Emergency Evacuation Chairs & Systems. EVAC+CHAIR® North America, LLC, maker of the original Stair Chair is now part of St Jude emergency evacuation systems and procedures. The Emergency Rescue Chairs by EVAC+CHAIR may be used in any building that requires a safe, urgent and orderly evacuation need for anyone who is incapacitated or becomes incapacitated and cannot evacuate independently. EVAC+CHAIR® allows incapacitated person(s) to be placed into the Stair Chair and evacuated down the stairs in a safe, efficient and rapid manner. EVAC+CHAIR® Evacuation Chairs greatly enhance safety in all evacuation situations as they allow sick, injured or disabled person(s) immediate evacuation options in emergency situations where seconds count. They are especially important in large facilities where emergency responders might have a difficult time locating, determining and reaching incapacitated individuals. EVAC+CHAIR® North America, LLC is the maker of the lightest stair chair on the market. Our stair chairs are designed for simple one person operation. There is no need to find an assistant with sufficient strength to operate the Staircase Chairs of EVAC+CHAIR® of North America. EVAC+CHAIR® Emergency Evacuation Stair Chairs are so intuitive to operate, that virtually no training is required.”We are very excited to be working with St Jude said Richard Perl, Vice President of business development for EVAC+CHAIR® North America.” It is an amazing state of the art facility. St Jude is a world class operation and we are proud to be affiliated with them in their safety and evacuation procedures. Our hope is that there will be no need for our Rescue Chairs, however if the need arises, we are proud that they are using the best Evacuation Stair Chair on the market. 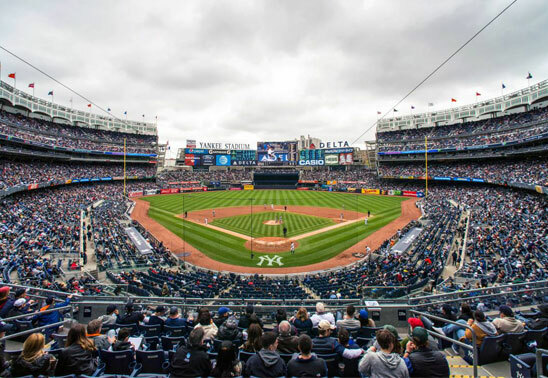 Evac+Chair® of North America, announced the sale of Stair Chairs to Yankee Stadium, home of the New York Yankees, for use at all venue events being held at the most famous stadium in the world. The Emergency Rescue Chairs can be used in any building that requires a safe and urgent evacuation need for anyone who is incapacitated, or becomes incapacitated and cannot evacuate independently. Evac+Chair® allows incapacitated person(s) to be placed into the Stair Chair and evacuated down the stairs in a safe, efficient and rapid manner. Evac+Chair® of North America Evacuation Chairs greatly enhance safety in all evacuation situations for example, someone who is sick, injured, temporary or permanently disabled. Evac+Chair® offers immediate evacuation options in emergency situations where seconds count. They are especially important in large sporting venues, such as Yankee Stadium, where first responders will have a difficult time locating and reaching incapacitated individuals. As Evac+Chair® of North America, LLC is the maker of the lightest chair on the market and is designed for simple one person operation, there is less need to find an assistant with sufficient strength to operate the Staircase Chairs. In addition, Evac+Chair® Emergency Evacuation Stair Chairs are so intuitive to operate, that minimal training is required. “We are very excited to be working with Yankee Stadium,” said Richard Perl, Vice President of business development for Evac+Chair® of North America. “It is an amazing venue in time and history. Our hope is that there will never be a need for our Rescue Chairs, however if an unfortunate emergency does arise, we are proud that they are using the best Evacuation Stair Chair on the market. 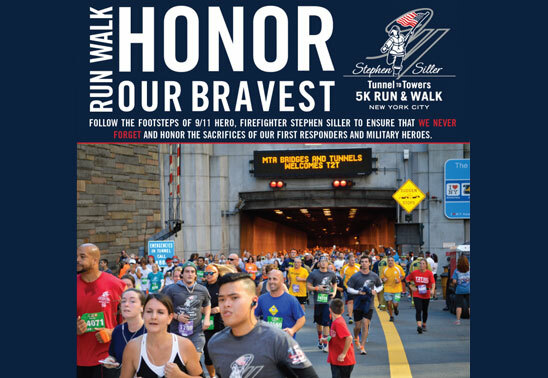 Help the Stephen Siller Tunnel to Towers Foundation (T2T) continue to make a positive and lasting impact in the lives of our military and first responders who make extraordinary sacrifices each and every day to protect our freedom. Fundraising is easier than you think, and you’ll be inspired by the support you receive when you share this important cause with your family, friends, and coworkers! When you give others an opportunity to make a donation, you’re empowering them to give back in supporting our most catastrophically injured service heroes. Start today! It’s as simple as asking 10 friends for $10!. announced the sale of the Evacuation Stair Chairs to the Canon U.S.A., Inc.
EVAC+CHAIR North America, LLC, maker of the original Stair Chair is now part of Canon U.S.A., Inc emergency evacuation systems and procedures. The Emergency Rescue Chairs by EVAC+CHAIR may be used in any building that requires a safe, urgent and orderly evacuation need for anyone who is incapacitated or becomes incapacitated and cannot evacuate independently. EVAC+CHAIR allows incapacitated person(s) to be placed into the Stair Chair and evacuated down the stairs in a safe, efficient and rapid manner. EVAC+CHAIR Evacuation Chairs greatly enhance safety in all evacuation situations as they allow sick, injured or disabled person(s) immediate evacuation options in emergency situations where seconds count. They are especially important in large facilities where emergency responders might have a difficult time locating, determining and reaching incapacitated individuals. Canon employees went through an extensive “Train the Trainer” course and are well versed on the operation of the EVAC+CHAIR. Chairs of EVAC+CHAIR® of North America. using the best Evacuation Stair Chair on the market. EVAC+CHAIR North America, LLC, maker of the original and lightest, Evacuation Chair, announced the sale of the Evacuation Stair Chairs to the Barclays Sports Arena Center. EVAC+CHAIR North America, LLC, maker of the original Stair Chair is now part of the Barclays Sports Arena emergency evacuation systems and procedures. The Emergency Rescue Chairs by Evac+Chair may be used in any building that requires a safe, urgent and orderly evacuation need for anyone who is incapacitated or becomes incapacitated and cannot evacuate independently. EVAC+CHAIR allows incapacitated person(s) to be placed into the Stair Chair and evacuated down the stairs in a safe, efficient and rapid manner. EVAC+CHAIR Evacuation Chairs greatly enhance safety in all evacuation situations as they allow sick, injured or disabled person(s) immediate evacuation options in emergency situations where seconds count. 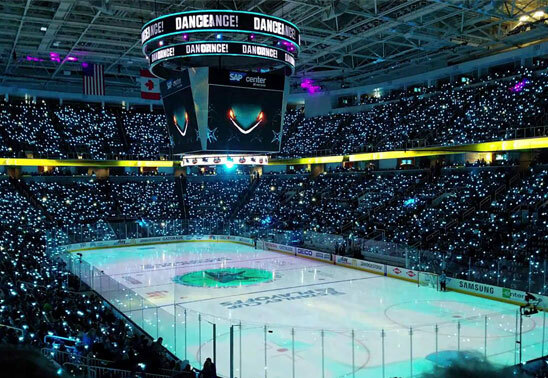 They are especially important in large sporting venues, such as the events held at the Barclay Sports Arena or Superbowl, where emergency responders will have a difficult time locating, determining and reaching incapacitated individuals. As EVAC+CHAIR North America, LLC is the maker of the lightest stair chair on the market. Our stair chairs are designed for simple one person operation. There is no need to find an assistant with sufficient strength to operate the Staircase Chairs of Evac+Chair of North America. EVAC+CHAIR Emergency Evacuation Stair Chairs are so intuitive to operate, that virtually no training is required. 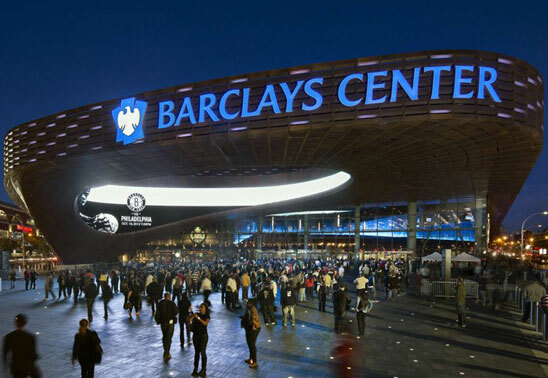 “We are very excited to be working with the Barclays Sports Center,” said Richard Perl, Vice President of business development for EVAC+CHAIR North America. “It is an amazing venue in time and history. We are a New York based company, that is proud to provide our evacuation stair chair products and be part of this new and exciting venue. Our hope is that there will be no need for our Rescue Chairs, however if the need arises, we are proud that they are using the best Evacuation Stair Chair on the market. John Abruzzo (9/11 survivor), a staff accountant for the Port Authority of New York and New Jersey, was working at his computer on the 69th floor of One World Trade Center when the first hijacked jet sliced into the tower. “It felt like the building was punched,” he says. “My desk faces north the side the airplane hit. Paper was just coming down. Worse, the building swayed–and only in one direction says John. EVAC+CHAIR® North America, LLC, maker of the lightest, Stair Chair on the market today, promotes the sale and use of state of the art Stair Chairs for use at the London Olympics 2012 venue. EVAC+CHAIR® North America, LLC, maker of the original (but never duplicated) stair chair on the market today, promotes the sale and utilization of stair chair functionality and mobility at venues such as the London 2012 Olympics. The Emergency Rescue Chairs has proven to be an asset of formality in a proactive state of preparedness in an emergency for those who are physically challenged or an isolated case of individual injury. At an event such as the London 2012 Olympics, ultimate mobility and flexibility is of the utmost importance for anyone who requires a safe and urgent evacuation and/or transport out of the building or stadium to a safe locale or medical triage determined location. EVAC+CHAIR® allows incapacitated person(s) to be placed into the Stair Chair and evacuated down the stairs in a safe, efficient and rapid manner. EVAC+CHAIR® Evacuation Chairs greatly enhance safety in all evacuation situations as they allow sick, injured or disabled person(s) immediate evacuation options in emergency situations where seconds count. They are especially important in large sporting venues, such as the London 2012 Olympics where emergency responders will have a difficult time locating, reaching and transporting incapacitated individuals. As EVAC+CHAIR® North America, LLC is the maker of the lightest stair chair on the market and is designed for simple (one person) operation, there is virtually no need to find an assistant with sufficient strength to operate the Stair Chair. EVAC+CHAIR® products are professionally designed for maximum endurance, light weight and maximum functionality and mobility. What’s more, EVAC+CHAIR® Stair Chairs are so intuitive to operate, that minimal to no training is required to operate and utilize the full functionality of their product line of emergency evacuation products and/or stair chairs. 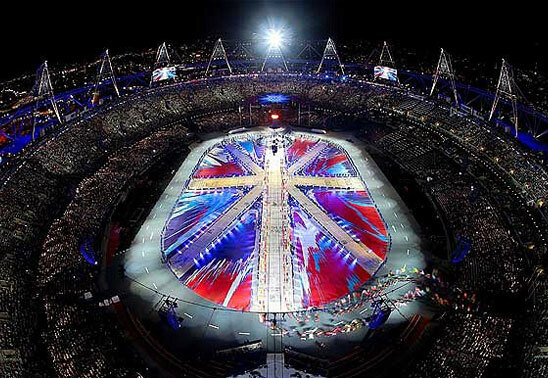 The London 2012 Olympics is an amazing venue in time and history. Our hope is that there will be no need for our Stair Chairs and/or Rescue Chairs, however if the need arises, EVAC+CHAIR® is proud to offer the best Evacuation Stair Chair on the market. EVAC+CHAIR® stair chairs have been tested by the National Fire Protection Association which recognizes that fire and life safety is important to people with disabilities and/or injuries because of the barriers to accessing certain venues due to physical barriers within the built environment. The mission of the international nonprofit NFPA, established in 1896, is to reduce the worldwide burden of fire and other hazards on the quality of life by providing and advocating consensus codes and standards, research, training, and education. The world’s leading advocate of fire prevention and an authoritative source on public safety, NFPA develops, publishes, and disseminates approximately 300 consensus codes and standards intended to minimize the possibility and effects of fire and other risks. NFPA membership totals more than 75,000 individuals around the world. Evac+Chair of North America, manufacturers of Stair Chair Descent Devices (evacuation chairs or evac chair), as well as a complete line of evacuation system devices and peripherals, utilized to assist in the emergency evacuation of people with mobility needs from buildings or homes with more than one level. Products such as ResQmat, (Rescue Mat) which is used around the globe (but not limited to) Hospitals, Nursing Homes, Retirement Homes, Assisted Living and Ambulance Companies. Quick and Easy to prepare for evacuation Allows one person to safely transport another in emergencies. Easily moves over any surface across floors and down stairs. Soft-absorbing head pillow reduces head movement going down stairs Long towing straps at the head and feet for easy maneuvering. Although the product line of Evac+Chair® is considered emergency evacuation chairs utilized for emergency stairway chair purposes only, the staircase chairs can be utilized for several other real life scenarios as well. Any building and/or private home with a malfunctioning elevator and/or staircase, could easily make use of Evac+Chairs staircase chairs and/or rescue chair. Although the handicapped evacuation chair was utilized and successful during 9/11, these stair chairs can be utilized for any free standing building with more than one floor. EVAC+CHAIR® North America, LLC, maker of the original and lightest, Evacuation Chair on the market today, announced the sale of the Evacuation Chairs to the Lucas Oil Field. EVAC+CHAIR® North America, LLC, maker of the original, and lightest, Evacuation Stair Chair on the market today, announced the sale of Evacuation Staircase Chairs to the Lucas Oil Field, home of the Indianapolis Colts, for use at venue events and this years 2012 SUPER BOWL. The Emergency Rescue Chairs can be used in any building that requires a safe and urgent evacuation need for anyone who is incapacitated, or becomes incapacitated and cannot evacuate independently. EVAC+CHAIR® allows incapacitated person(s) to be placed into the Stair Chair and evacuated down the stairs in a safe, efficient and rapid manner. EVAC+CHAIR® Evacuation Chairs greatly enhance safety in all evacuation situations as they allow sick, injured or disabled person(s) immediate evacuation options in emergency situations where seconds count. They are especially important in large sporting venues, such as the Superbowl, where emergency responders will have a difficult time locating and reaching incapacitated individuals. As EVAC+CHAIR® North America, LLC is the maker of the lightest chair on the market and is designed for simple one person operation, there is less need to find an assistant with sufficient strength to operate the Staircase Chairs. What’s more, EVAC+CHAIR® Emergency Evacuation Stair Chairs are so intuitive to operate, that minimal training is required. 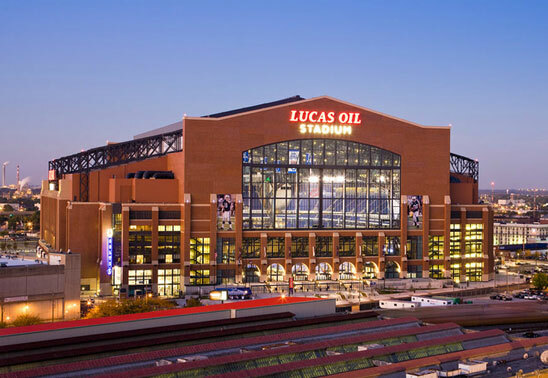 “We are very excited to be working with Lucas Oil Field,” said Richard Perl, Vice President of business development for EVAC+CHAIR® North America. “It is an amazing venue in time and history. Our hope is that there will be no need for our Rescue Chairs, however if the need arises, we are proud that they are using the best Evacuation Stair Chair on the market. The innovative IBEX Transeat patient transporter from Evac+Chair® North America was introduced at this year’s NFPA conference in chicago. The IBEX Transeat is a stair climber and stair descender that grips the stairs and controls the rate of descent with an adjustable braking system. Not only does the IBEX Transeat appeal to the rescue services, but it also now plays a valuable part in aircraft passenger handling and high rise buildings. With approximately 15 minutes training any individual should achieve the necessary competency to operate the IBEX Transeat safely and within their capabilities without fear of causing injury to themselves or the patient. The device will ascend(go up) a stair with the application of minimal force by two operators. The patient is never elevated above ground level and is never in danger of falling off the Transeat. For buildings a simple wall bracket ensures it is always ready for use. It can also accomodate staircases designed with over a 45-degree angle of descent, quarter landings, carpeted stairs and obstacles such as doorframes and storm guards. Evac+Chair® International has launched an awareness campaign to highlight the importance of training and servicing in the emergency evacuation equipment market. PUWER for example states that work equipment must be suitable for use, and for the purpose and conditions in which it is used; maintained in a safe condition for use so that people’s health and safety is not at risk; and inspected in certain circumstances to ensure that it is, and continues to be safe for use. It says ‘software’ measures should also be taken such as providing adequate information, instruction and training for the particular equipment. These points are also emphasised in the Disability Discrimination Act and the Regulatory Reform (Fire Safety) Order 2005. As a leading designer, manufacturer and supplier of emergency evacuation chairs for the mobility impaired, Evac+Chair® offers customers various training options and a nationwide inspection and maintenance service as part of its comprehensive aftersales support. There is a practical short course for employees willing to learn the simple techniques. Carried out where possible on-site, it involves 2½ hours of hands-on certified training and assessment for groups of up to four individuals. For medium to larger organisations, a higher level of training is provided. An employee who receives the Key Trainer Masterclass© course is then entitled to train other employees in turn. This makes it a useful and cost-effective method of sharing information within organisations, which are often multi-site. 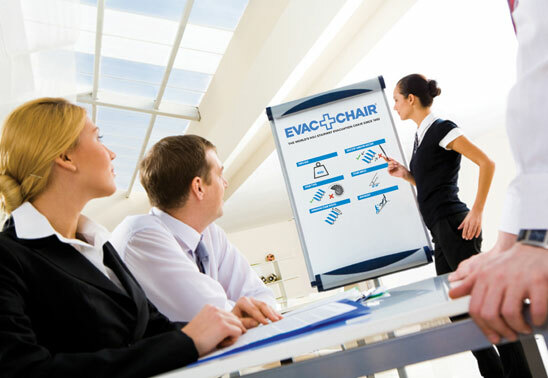 Evac+Chair® International now has four experienced training staff who carry out numerous training courses nationally. This one-stop shop approach makes it easy for clients to fully comply with regulations, giving total peace of mind. 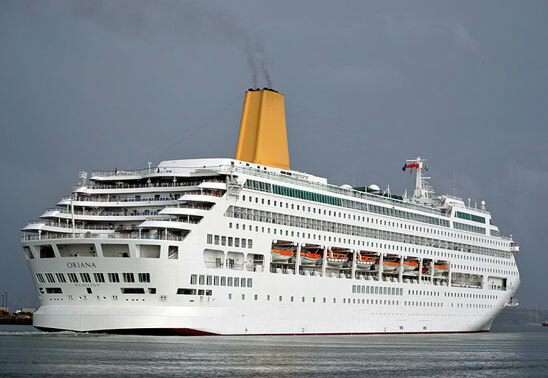 The cruise ship Oriana is one of the most glamourous and best-known of the world’s cruise liners, carrying thousands of passengers each year for their holidays of a lifetime to exciting and exotic destinations on its voyages around the world. Passengers of the Oriana are of all ages and abilities and include those with mobility impairments. To ensure all passengers have adequate means of escape in the unlikely event that an emergency should occur and the elevators are out of action, the operators have installed EVAC+CHAIR® at strategic positions on their world-renowned vessel. Are you prepared for emergency evacuation? Hightened awareness of terrorism and natural disasters mean building evacuation plans are on many manager’s minds. By Law, organisations need to make physical provision for everyone to escape, including the mobility impaired. 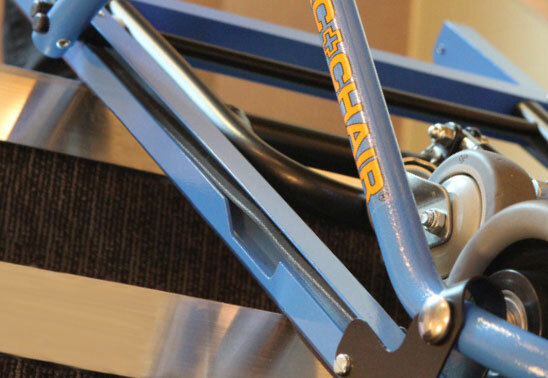 Evac+Chair® is a pioneer in its field, yet offers a simple, safe and cost effective solution. The chair uses continuous rotating v-belts to provide controlled stairway descent, enabling a single user to evacuate a mobility impaired person, without lifting or need to alter the building fabric. For ‘intelligent buildings’ such as the Petronas Towers in Kuala Lumpur, Evac+Chair would have been invaluable when it took 5000 personnel over one and a half hours to evacuate after a bomb hoax. Evac+Chair® is equally important for escaping those buildings directly affected by the event as well as for surrounding buildings indirectly affected through power failure and other intrusions. Evac+Chair® enables a single user to easily evacuate a person with mobility difficulties from a building in the event of a disaster. EVAC+CHAIR® has just increased the angle of descent capabilities of its EVAC+CHAIR® emergency evacuation chair by a crucial 2° so that it now has an operating angle of 40°. This new product development not only sets a new benchmark that exceeds building regulations, but widens the application of the chair so that those with steeper stairs typically found in the domestic housing sector or in period buildings, can now benefit from the EVAC+CHAIR® as an emergency evacuation solution for the mobility impaired. The 26 year proven Evac+Chair® can be operated safely and effortlessly at this angle enabling a single user to evacuate a person with mobility difficulties quickly and easily using continuous belts to provide controlled descent over stair nosings in proportion to passenger weight. This latest product development follows hard on the heels of an increase in the weight capabilities of the EVAC+CHAIR® from 300 lbs to 330 lbs during 2006, underlining its position at the forefront of its market. LAKE SUCCESS, N.Y., June 2, 2010 – It only takes a minute for a careless college student to ignite a dangerous fire that can spread and cause bodily harm. 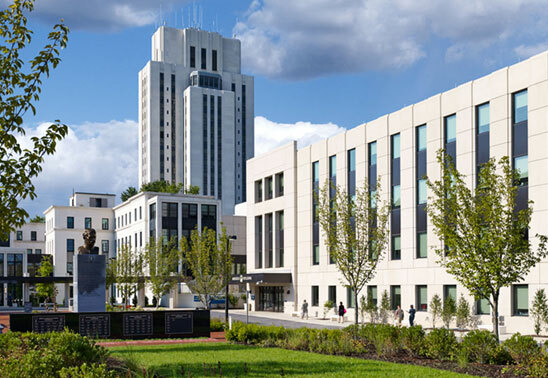 A May 12 fire in a Rutgers University dormitory was put out quickly and no one was hurt, but the incident revives the memory of the tragic fire at Seton Hall University ten years ago, when three students were killed and 58 injured—some critically— in a dorm fire started by students. Rich Perl, vice president of business development for Evac+Chair® North America, is reminding campus officials in colleges and universities to make sure all building occupants can get out safely and quickly in the event of a fire or other emergency. “Anyone can become incapacitated in an emergency and need assistance getting out of a multi-story building, including a dormitory or college library,” explained Perl. 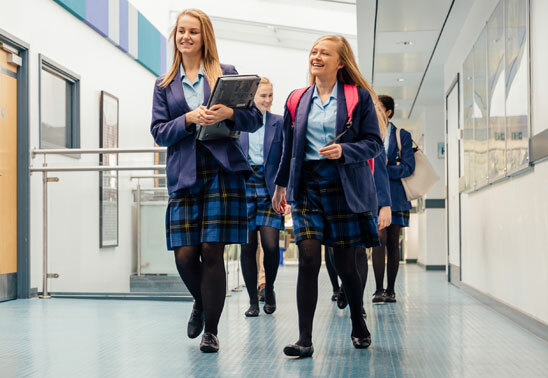 “Young people can develop anxiety attacks, someone recovering from an injury or surgery might not be able to negotiate stairs that day, or an older visitor could be unsteady on his feet. The Evac+Chair® simply unfolds and can ferry a person to safety by just one person,” he added. The Evac+Chair’s® lightweight portability and narrow profile give it a distinct advantage over other evacuation devices. 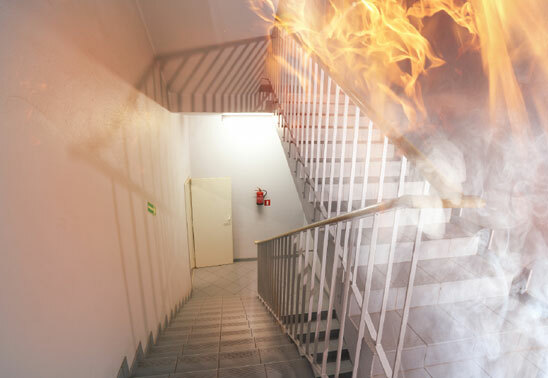 It allows first responders and other building occupants to pass without interference on crowded stairwells, and its unique patented design makes it easy enough for just one person to operate. Perl added that the Evac+Chair® was instrumental in the rescue of several disabled building occupants during the attack on the Twin Towers on September 11, 2001. Evac+Chair® North America has placed Evac+Chairs® in theatres and stadiums, hospitals and nursing homes, office buildings and hotels throughout the US, Canada and Mexico. Many public school districts, state universities and private colleges are among the educational facilities using Evac+Chairs®. On May 6th, the CBS Radio Network announced that several West Point cadet engineers created an evacuation device for use in the Statue of Liberty. They have Evac+Chair® North America to thank for the input that helped them develop their own evacuation device. 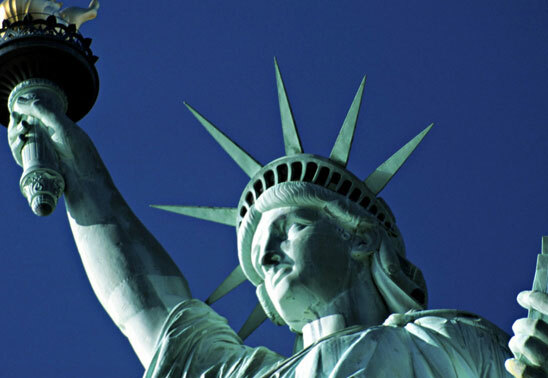 Rich Perl, vice president of business development for Evac+Chair® North America received a call from a West Point cadet who explained he was working on this project for evacuating the crown of the Statue of Liberty. “I offered my assistance as they needed it during their project,” said Perl. “During two or three phone calls, I gave the students tips and advice on evacuation chairs.” Now the cadets have been recognized for their evacuation device designed to take incapacitated visitors down the steep and narrow spiral staircase from the crown, quickly and safely. Evac+Chair®, the firm that originated the stairway evacuation chair in 1982, is the world leader in the industry. Evac+Chair® North America, has distribution rights throughout the US, Canada and Mexico; it has placed chairs on Ellis Island, and in NYC hotels, office buildings, stadiums, hospitals and college campuses across the country. Evac+Chair® North America is based out of Lake Success, New York on Long Island. The cadets’ device is a folding chair that can hold up to 350 pounds. Its speed is controlled with pulleys operated by two rescuers. “We have a model, the IBEX 700H, that can go down and up stairs which makes it unusual, as most evacuation chairs only go down stairs. Like the West Point device, this particular model also requires two people to operate but it holds up to 400 pounds,” noted Perl. The Evac+Chair® played a prominent role in the rescue of several occupants of the Twin Towers on September 11, 2001. It is lightweight and portable and its narrow profile allows first responders and other building occupants to pass safely without interference on stairwells during an emergency. 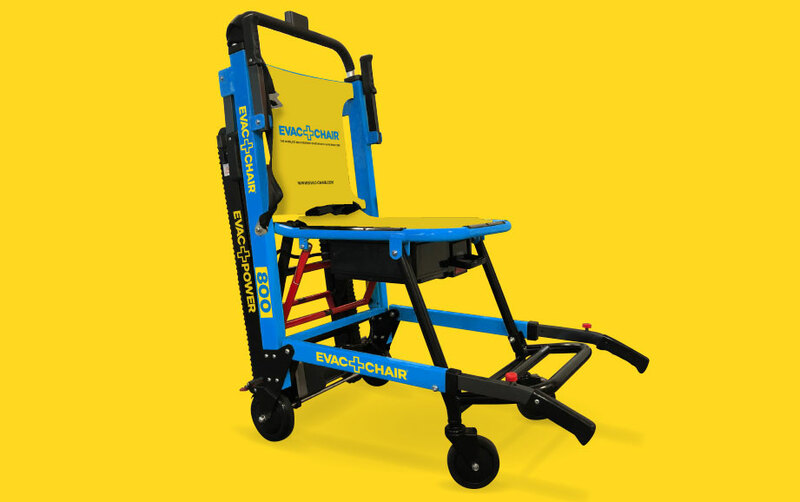 Most Evac+Chair® models are designed for one person to operate safely and can hold 400 pounds. LAKE SUCCESS, N.Y., February 22, 2010 – EVAC+CHAIR® North America, LLC, maker of the original, and lightest, evacuation chair on the market, today announced the company has donated its evacuation chairs to the British Columbia Ambulance Service for use by the Emergency Management Team based in Vancouver, host city of the 2010 Winter Olympics. The EVAC+CHAIR® is designed to be used in a building evacuation situation for anyone who is incapacitated, or becomes incapacitated, and cannot evacuate quickly enough on their own. EVAC+CHAIR® allows injured or mobility impaired persons to be placed into the chair and evacuated down stairs quickly and safely. EVAC+CHAIR® evacuation chairs greatly enhance safety in all evacuation situations as they allow sick, injured or disabled persons nearly immediate evacuation options in emergency situations where seconds count. They are especially important in large sporting venues where emergency responders will have a difficult time locating and reaching incapacitated individuals. As EVAC+CHAIR® North America, LLC is the maker of the lightest chair on the market and is designed for simple one person operation, there is less need to find an assistant with sufficient strength to operate the chair. What’s more, EVAC+CHAIR® is so intuitive to operate that little training is required. LAKE SUCCESS, N.Y., February 8, 2010 –EVAC+CHAIR® North America, LLC, maker of the original, and lightest, evacuation chair on the market today, announced the sale of the company’s evacuation chairs to the HP Pavilion, home of the San Jose Sharks, for use at the venue’s events. The chairs can be used in a building evacuation situation for anyone who is incapacitated, or becomes incapacitated, and cannot evacuate, or cannot evacuate quickly enough on their own. EVAC+CHAIR® allows incapacitated persons to be placed into the chair and evacuated down stairs safely and quickly. LAKE SUCCESS, N.Y., January 29, 2010 –EVAC+CHAIR® North America, LLC, maker of the original, and lightest weight evacuation chair on the market today announced a deal with famed Walter Reed Hospital located in Washington, DC, to provide the company’s evacuation chairs for use in building evacuations. Evacuation chairs greatly enhance safety in hospital settings where there is a greater concentration of disabled individuals who cannot evacuate a building on their own, or cannot evacuate quickly enough in an emergency situation. As EVAC+CHAIR® North America, LLC is the maker of the lightest weight chair on the market and is designed for simple one person operation, there is less need to find an assistant with sufficient strength to operate the chair. What’s more, EVAC+CHAIR® is so intuitive to operate that little training is required. (Lake Success, NY) – September 8, 2010 — Students are back in school and Evac+Chair® North America reminds all public school districts, private schools, and colleges and universities throughout the United States that September is National Campus Fire Safety Month. Rich Perl, vice president of business development for Evac+Chair® North America, based in Lake Success, New York, stresses the importance of making sure all occupants can get out safely and quickly in the event of a fire or other emergency in multi-story school buildings. “Anyone can become incapacitated in an emergency and need assistance getting out of a multi-story building, including a high school, a dormitory or college library,” explained Perl. 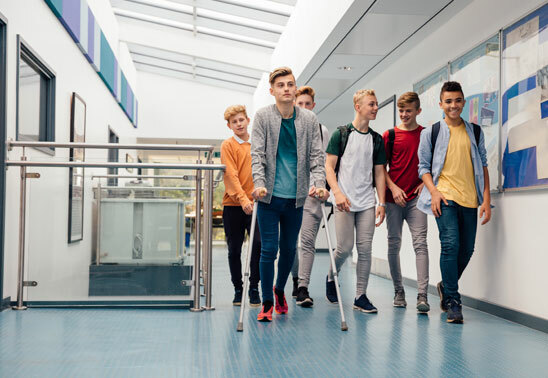 “Young people can develop anxiety attacks, someone recovering from an injury or surgery might not be able to negotiate stairs that day, or an older visitor could be unsteady on his feet. The Evac+Chair® simply unfolds and can ferry a person to safety by just one person,” he added. The Evac+Chair’s® lightweight portability and narrow profile give it a distinct advantage over other evacuation devices. It allows first responders and other building occupants to pass without interference on crowded stairwells, and its unique patented design makes it easy enough for just one person to operate. Perl added that the Evac+Chair® was instrumental in the rescue of several disabled building occupants during the attack on the Twin Towers on September 11, 2001. Evac+Chair® North America has placed the evacuation chairs in theatres and stadiums, hospitals and nursing homes, office buildings and hotels throughout the US, Canada and Mexico. Many public school districts, state universities and private colleges are among the educational facilities using Evac+Chairs®. From Los Angeles to New York, cities and municipalities are dealing with deep budget cuts, many of which affect police and fire departments. In light of these measures, EVAC+CHAIR® North America, LLC cautions building owners and managers to take up the slack in emergency management caused by decreased budgets, fire house closures, and police and fire department layoffs. The firm advises that now more then ever, it is crucial to stock emergency evacuation chairs to rescue mobility-impaired occupants from a building or public facility during a fire or other disaster. “Emergency response times to fires will be longer now that fire houses are closing and fire departments are shrinking,” noted Rich Perl, vice president of business development for EVAC+CHAIR® North America, which distributes the EVAC+CHAIR®, a lightweight emergency evacuation chair for stairway use. EVAC+CHAIR® has been the industry standard worldwide for portable evacuation devices since its invention in 1982. According to the National League of Cities, the municipal budget shortfalls for 2010 to 2012 are projected to be as high as $56-$83 billion, due to state cuts and declining tax collections; these cuts are already affecting fire and police departments as cities and towns wrestle with declining revenues and continued or increased service demands. That all translates into fewer firefighters and policemen who can get to a fire quickly and assist occupants in an evacuation. “Any multi-story building should have an emergency evacuation plan in place, especially in commercial properties such as office buildings,” said Perl. “In big cities, with a preponderance of high-rise apartment and office buildings, getting people who need assistance down the stairs efficiently can mean the difference between life and death.” Perl recommends placing an evacuation chair at every exit on every floor, and training building occupants in its use and location as part of an evacuation plan. EVAC+CHAIR®‘s narrow profile allows first responders and other building occupants to ascend or descend staircases during an emergency without interference, and its unique design allows most able-bodied users to assist anyone with mobility impairments or other conditions in need of help with relative ease. 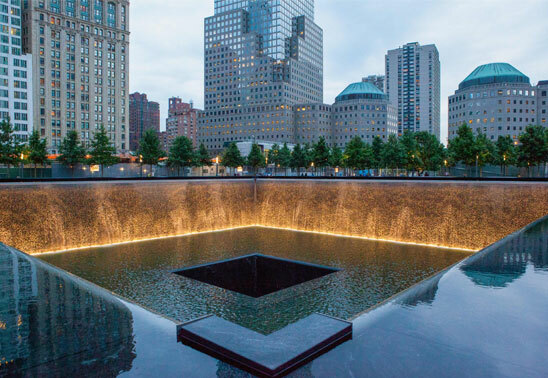 It serves as a veritable lifeboat for stairways, and was a key factor in the rescue of several disabled occupants from the Twin Towers during the attacks of September 11, 2001. EVAC+CHAIR® North America sells the portable evacuation chair and other assistive devices to owners and managers of multi-story commercial properties and public facilities throughout Canada, the United States, Mexico and the Caribbean. The EVAC+CHAIR® is found in industrial buildings, office and apartment buildings, hospitals and nursing homes, academic and residential buildings at colleges and universities, and theatres, stadiums and arenas—any facility where anyone might need assistance due to a temporary or permanent disability or mobility impairment. “As building managers and owners weigh the costs and benefits associated with stocking an evacuation device such as the EVAC+CHAIR®, the cost of lost lives and all that ensues from that kind of tragedy must be a critical part of the life safety equation,” said Perl. For more information about the EVAC+CHAIR® or for a demonstration, call (516) 502-4240, email Rich Perl at sales@evac-chair.com, or go to www.evac-chair.com.